Wicked Watermelon - bored and mean-spirited, thinks that he is smarter than all the other fruit in the orchard. Sweet and lovely, always wants to make a good first impression. Pretty, but not very bright, is never sure what to say. A sour tongued bully who learns a bitter lesson from the Wicked Watermelon. Tiny, but mighty brave, they run to save the day. Wise and shaggy, teaches the Wicked Watermelon a "Hard' lesson that appearances can be very deceiving. Has an MA in education and has spent more than fifteen years as a public school teacher in New Jersey, specializing in Early Childhood Education and English as a Second Language. 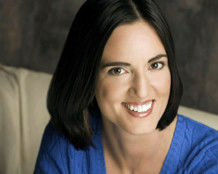 She is currently Head Teacher in a large urban school district’s preschool program, where she is dedicated to providing her students with a rich and creative learning environment. 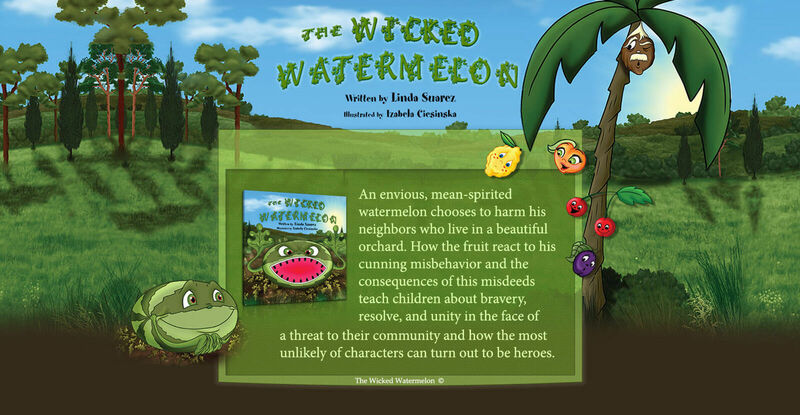 The Wicked Watermelon is her first published children’s book. please visit these online bookstores. 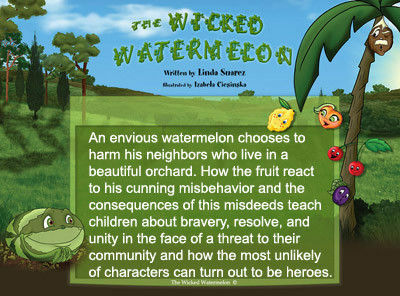 "The Wicked Watermelon" is a brightly illustrated children's book that talks about bullies and being brave. 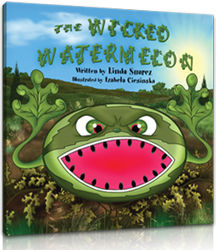 "The Wicked Watermelon" is a beautifully illustrated book for kids, easy to read and understand. It helps children realize when someone is mean to them, they should tell someone so it stops." "Not only is this a GREAT story to read to children it is also a great way to talk about Bullying and name calling. We read this as a school and talked about making good choices or "Wicked Watermelon" choices. We also talked about not calling each other names by asking "Are you being a tart-lemon?" The kids thought it was great and the pictures are pretty incredible!!" "The Wicked Watermelon" is a children's fable retold based on an original tale by the author's grandmother, Florence Squicciarini. The wicked watermelon is a greedy, grasping character who plots and schemes and lies to trick innocent plums, peaches, and cherries to jumping to the ground so he can gobble them up. 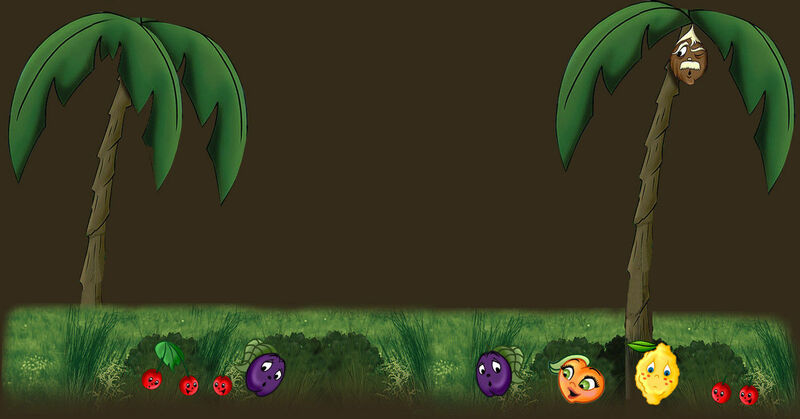 Two brave cherries and a lemon manage to evade the wicked watermelon, however, and the cherries enlist the help of the wise old coconut, who realizes the wicked watermelon must be stopped. Through bravery, cooperation and planning, the cherries and the coconut trick the watermelon with some of his own medicine, and in the process they free the consumed fruits from the orchard trees. Then peace and harmony are restored to the little fruit orchard. "The Wicked Watermelon" is filled with partly scary colored illustrations which make the eventual victory even sweeter."